This book is dedicated to the people we keep in detention centres and as these centres are very much in the news as I write (August 2018) the timing of the publication of this book is a pertinent reminder of the plight of detained people. Congratulations to John Lucas and Shoestring Press for this publication. 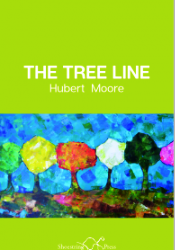 This is Hubert Moore’s ninth collection and he manages through his craft and sensibilities to bring, yet again, heart-rending freshness to his work. Since his retirement from Head of English at Cranbook Grammar School, Moore has worked endlessly for victims of torture and repression. Rag doll with a difference. This writing gives such a clear picture of what it must feel like to be a rag doll (= asylum seeker or refugee). The image of the rag doll conveys a feeling of limpness, being out of control both of the body and the mind. The rag doll is controlled by someone more powerfu. and is easy to discard, throw away, ignore, pull apart, destroy. The next lines come from “Apple” – which he wrote on the train returning home after seeing an exhibition of Rembrandt’s work at The National Gallery. From this we learn that Moore carries the plight of the victimised with him wherever he goes and this is exactly what gives his work the authentic quality that makes his poems compelling reading. The first five lines of this poem are a bleak, truthful description of a six-bar gate and wire fence; but then the next line lifts the poem to another level. The subtlety of the message of the greetings card to a place of suppression and hard reality makes the first five lines even more sinister than they at first appeared. I had to go back and keep reading this poem because of the horrific picture it impressed on me. But I needed to read this poem, this book. It has changed me. Flags denote countries, boundaries, rules and barriers. The wind is free. We are not. I ask myself : how can I connect to these people whom I don’t know (yet who are just like you and me) whose lives are so unimaginatively complicated and painful that I can’t begin to understand. The answer has to lie in the reading of these poems and books like this one so the horror of some lives can be remembered. This book illustrates the inhumanity that human beings are capable of inflicting on one another. The poems are a reminder of what it is to be human and how those of us who have lived our lives in a free society have a responsibility to others who have suffered degradation, torture and separation from their families. The least we can do is read this book and so have some thoughts for the feelings of the people whom Hubert Moore has worked with, supported and given hope to in his work and writing. The Tree Line is a fine book of accomplished poetry and for a slim volume speaks volumes of grief, compassion, love and endurance. All human life is precious. On your joy, your watching. By writing these poems Hubert Moore is declaring that all human beings deserve respect, to be acknowledged and to know that no one is forgotten. Much Ado About Nothing, Gray’s Inn Hall. Review by Julia Pascal. BBC Proms 50. Review by Julia Pascal.